What do you get when you cross a cuddly blanket with a cute puppet? It will entertain your kid all day, and then become their warm and fuzzy friend at night. You get a Cuddle Uppets, the blanket that's a puppet. Cuddle Uppets are available in choice of colorful animal styles. 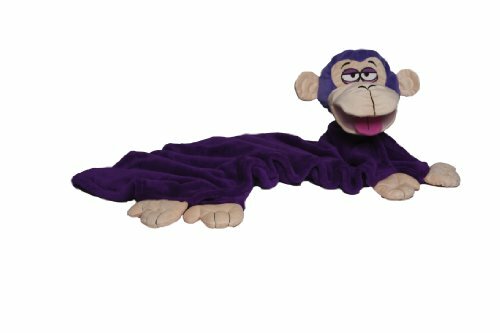 The Cuddle Uppets Purple Monkey is easily washable, so kids can take it anywhere and not worry about getting it dirty. 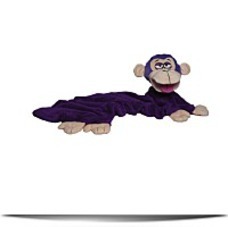 Let this soft Purple Monkey cuddle, ' hug, and wrap your child in love with its 39- by 28-inch (L x W) blanket. 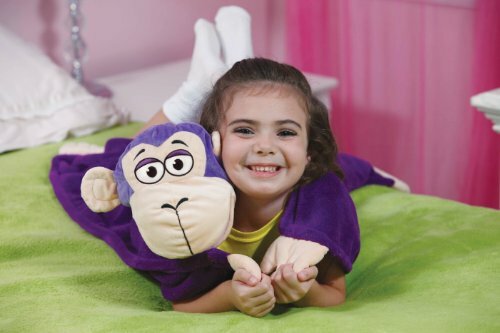 Find the right Cuddle Uppets animal friend for your youngster. Play with Cuddle Uppets as a Puppet or Fuzzy Friend Choose from seven colorful animal styles: Green Crocodile, Yellow Dog, Pink Poodle, Pink Ladybug, Blue Elephant, Purple Monkey, and Magic Unicorn. Cuddle Uppets are Traveling Mom. com approved and Parent Tested, Parent Approved by PTPMedia. They've also been awarded the Finest Vacation Children's Product from Dr. Toy. What's inside the Box com. Package Dim. : Height: 4.8" Length: 11.1" Width: 9.2"